Who should pay for what at your wedding? In the UK, we spend over £10 billion on weddings every year. Weddings can be pricey; from sorting a venue to buying the dress to relaxing on honeymoon, the costs can really stack up. The venue is one of the most important parts of any wedding. It’s where you actually get married, after all! You might even have two venues if you choose separate locations for the ceremony and the reception. The tradition: venue costs are traditionally covered by the bride’s family while the groom pays for the actual marriage license and registrar fees. An alternative to traditional arrangements could be that the party who earns the most covers this cost - whether it’s the bride, groom, or one of their families. As this is such an expensive part of the wedding, you might decide that whoever pays for it doesn’t cover the cost of anything else. Or it might make most sense to you and your partner that the cost of the venue gets split equally between multiple parties. No matter how you pay for the venue, remember that it’s one of the key parts of your wedding plan so be sure to get it sorted early on. For many brides, the wedding dress is one of the highlights of the whole day. Some brides have known since they were kids exactly what kind of dress they want to wear! But while many little girls dream about their dress, few dream about its price tag. And with most dresses almost £1,500 on average, that tag is hard to ignore. The tradition: the bride’s family pays for the wedding dress alongside the bride’s accessories and shoes. Meanwhile, the groom pays for the bride’s bouquet, which could cost between £30 and £150, depending on the extravagance of the bouquet. The alternative: many brides prefer to buy their own dress in order to pick the exact one they want without any external pressure from whoever’s buying. Some brides want more, though, and opt to DIY their own, custom dress. This saves them a ton of money when compared to buying on the High Street - but it might take a lot longer! The bling is an exciting part of any couple’s engagement - and also a pricey one. The bride-to-be’s engagement ring comes in at an average of £1,742 - plus someone needs to fork out an extra few hundred for the wedding rings. 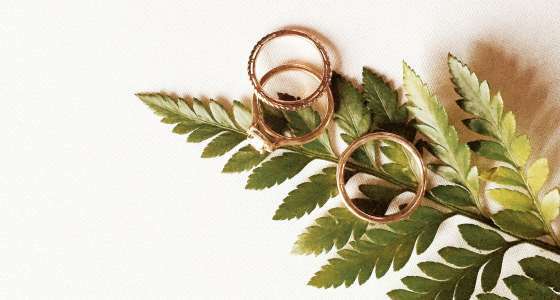 The tradition: the groom pays for both of the bride’s rings, and the bride pays for the groom’s wedding band. The alternative: heirloom engagement and wedding rings could be a better decision than dropping half a fortune on new bands. Heirloom jewellery has the benefit of being entirely free whilst also holding far more sentimental value than commercial rings. Compared to the wedding dress, the groom’s suit is only a fraction of the price. On average, the groom’s attire costs £293 which isn’t even half the cost of most wedding dresses! Still, the groom’s outfit needs to be budgeted for - alongside any bridesmaids’ dresses and groomsmen’s suits. The tradition: the groom, bridesmaids, and groomsmen normally buy their own attire for the wedding but the bride and groom are expected to buy gifts for their respective parties. The alternative: couples may opt to pay for bridesmaids’ dresses. At extravagant, perfectly co-ordinated weddings, for instance, it might make more sense for the couple (or their families!) to absorb the cost of outfits for the guests of honour. Hiring formalwear is also an option. In fact, 35% of grooms hire their suits for the big day, and there’s no reason bridesmaids or groomsmen couldn’t do the same. Hiring a venue is an important part of getting the tone of your wedding exactly right. But to make your wedding feel really special and unique, you’ll need to pay attention to the details. Flowers and decor - like centrepieces for the tables, ribbons on the chairs, and even the stationery used to send out invites - really tie an event together. The tradition: the bride’s family pays for the decor, flowers, and wedding invitations - including all the mailing costs. The alternative: some couples prefer to pay for the wedding decor and the flowers themselves so that they have full control over how their big day looks. If you’re looking to save some money, you might also consider sending out electronic invites instead of letters. Upcycling is also a popular wedding trend. You could achieve a gorgeous vintage or rustic feel and give new life to old or unused objects. Plus, you know that nobody else will have had the same decor, making your wedding absolutely unique. The food… and the cake! Every good party has good food (and drink!) on offer - and no wedding is complete without a cake. No matter your tastes (chocolate or fruit cake?!) catering can get pricey, especially if you’re including tipple for your guests. The tradition: the bride’s family pays for the food, cake, and drinks. The cake alone could set you back upwards of £200, depending on how big and elaborate it is! The alternative: many couples opt for a more casual catering experience which doesn’t just save money, it can also create a really intimate and fun atmosphere. Try sharing platters, a BBQ, or a big roast to feed more guests for less. DIY cocktail bars can be a fun way to save on a bar and some couples even ask their guests to bring their own booze - or cake! Remember that your friends and family are likely to want to help out with your big day, so getting them involved with the food and drink is a great way to spread the love. Photography makes your wedding a day to remember, giving you memories you’ll cherish forever. A good photographer will capture all the important moments, like the ceremony, cake-cutting, and first dance, as well as some beautiful couples’ shots that you’ll be proud to frame later. The tradition: the family of the bride pays for the wedding photography. On average, wedding photography costs £663 - but you could spend up to a whopping £8750 getting your photos done. The alternative: some towns in the UK have a lower average price for wedding photographers. Generally, if you’re getting married outside of London, you’ll be paying less. As for who should pay, family on either side of the wedding tend to be pretty happy to pay for the photographer - as long as they get a copy of the prints, too. If you’re on a tight budget, you could get your mates involved. DSLRs are more affordable than ever before and come with automatic modes that can make it a breeze to snap the perfect shot. You’ve probably got at least one friend or family member who’s into amateur photography. Ask them if they’d like to take the wedding pics for you, and bag yourself a bargain in the process. Don’t forget that your guests also incur expenses, from travel and accommodation costs to their outfits on the day. The exact costs depend on your wedding. Generally, the further your guests have to travel, the higher the costs. The tradition: guests pay for their own transport, accommodation (if they need to stay overnight), clothes, and any other expenses incurred on the day. However, if you’re holding your wedding overseas or making it a multi-day event, then the bride and groom are expected to pay for their guests’ costs. The alternative: even if your wedding isn’t in an exotic destination, you might still want to offer to pay for your guests’ costs. For instance, if some of your mates are on a budget right now, you might want to cover the cost of their transport in order to have them at the wedding. If some of your guests are hesitant about coming due to costs, chat with them about it and see if you can work something out. Finally, while the honeymoon doesn’t usually take place on the same day as the wedding, it’s an important part of the event to many couples. In fact, on average, UK couples spend £3,366 on their honeymoon! This is the second biggest expense of a wedding, after the venue. The tradition: the groom pays for the honeymoon. Yes, the whole thing! The alternative: many couples opt to split the cost of their honeymoon. This can be a fairer option, which seems especially important as the honeymoon is one of your first shared expenses as newlyweds! Modern couples are now frequently asking friends and family to give them cash gifts at their wedding reception in order to contribute to the honeymoon. Not only does this bring costs down for the couple, it’s a lovely way of including your guests in your new life as a married couple. Overall, the best way to work out who should pay for what at your wedding is to start your wedding plan with a budget. Go through this with your partner so you know exactly how much you have to buy. Then, work out what you can pay for yourselves and what you might need help with, whether it’s from family, friends, or your bank. Many couples are opting for non-traditional ways of paying for their wedding, as these methods offer greater flexibility and control over your big day. But what do you think? Would you go traditional or your own way on any of these expense? Let us know below!